My husband and I don't really celebrate Valentine's Day, so I made this Joy's Life project about something that I love: coffee!!! I made this box from scratch, without a template or anything. I placed the four K-cups together and measured how wide the square they made was. I also measured how tall a single K cup is. Basically, you want to draw a square that is the size you want the bottom of your finished box to be, then you draw a band on all sides of that square equal to the height that you want the box to be. You end up with a square within a square. I used my score board to score the lines along the side of the bottom, all the way to the edge of the larger square. The lines will cross at the corners. Next, snip one side of the square formed in each corner. The corners become the tabs to hold the box together. Now, fold and glue! Repeat with a slightly smaller center square (just a hair smaller, not even an eighth of an inch smaller) to make the bottom. I added acetate to the back of the cut part to create a window. The May arts ribbon is tucked under and glued between the paper and the acetate. I then stamped the sentiment with more Clearsnap chalk ink in a slightly darker color, on some Bo Bunny cardstock and cut it into a banner. The bling is My Mind's Eye. The paper that I used for the box top is from Crate paper and of course the stamps are all Joy's Life. The hearts are from the Joyful Hearts set and the sentiment is from the You're so Punny set. 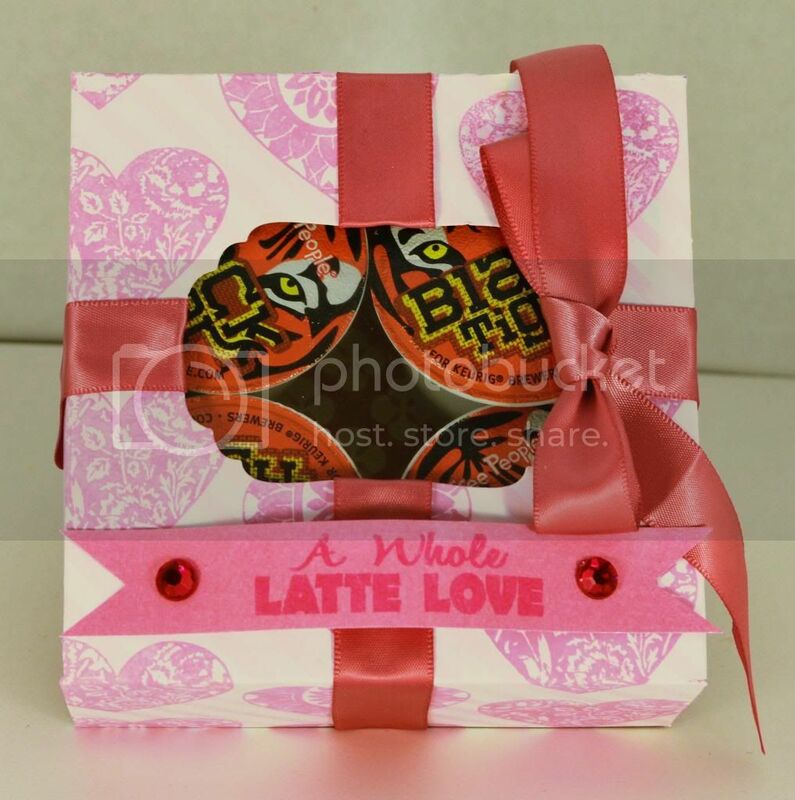 This is entered in the charisma cardz anything goes challenge, the caboodle doodles valentine challenge, the pink elephant love is in the air challenge, the flourishes timeless tuesday put your heart on it challenge, and the crafty creations love and or hearts challenge. Very cute project! Thanks so much for playing along with us at The Pink Elephant! What an awesome idea Megan! So good to see participating along with us this week. So good to see a familiar face!